Laundries, bedrooms, and studies aren't left out. In fact anywhere you have storage needs, we have solutions. Talk to us today about your dream home. 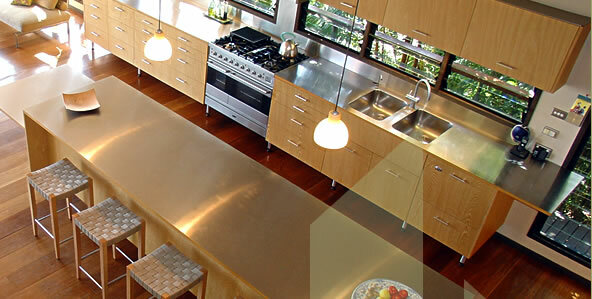 At Homestyle Kitchens we are committed to providing our customers with beautifully designed and functional kitchens. It's a commitment that has kept us going since 1987. Innovation, function, design, attention to detail and quality workmanship all combine to create Homestyle Kitchen's unique style. And to ensure the high level of quality we're renown for, our small, dedicated team of craftsmen hand-make all the cabinets in our own factory and do the installation. From start to finish, our team are looking after you. While kitchens are our bread and butter, we appreciate that there's a lot more to a house than just the kitchen. As cabinetmakers and designers, we know quality when we see it and we're proud to offer FEG Wardrobe Systems as part of our product range. 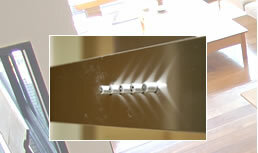 FEG Wardrobe Systems are a complete and flexible solution for any home.